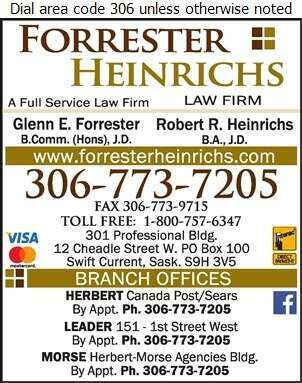 Forrester Heinrichs is a full service law firm, providing real people, with real problems, real help. We strive to deliver comprehensive legal services, with a true commitment to justice. 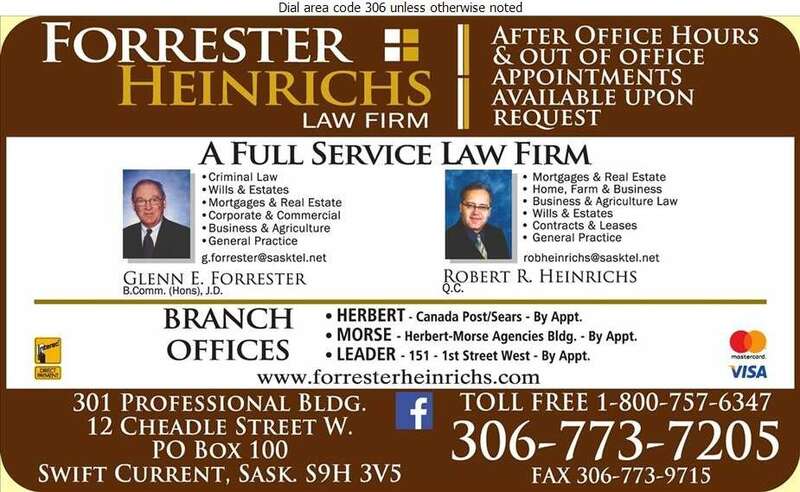 Serving Southwest Saskatchewan for over 75 years. Offices in Herbert (Tuesday am), Morse (Tuesday pm) and Leader (1st & 3rd Tuesdays 10 am-4 pm). Contact us today, we welcome new clients and inquiries for any of your legal needs.